can hardly be denied anywhere. A SUBSTANCE must be a Totality, a totality of (its) determinations, so it must be ONE something, that is definitely so and so, and it must not be (ontologically) in something else, because in that case it would in fact BE that something else. It must moreover not be a multiplicity. We just said that a substance is a totality of (its) determinations. One should expect however that it should be a totality (a uniting) of its parts. Why, instead instead of parts, "determinations"? This is because a substance is only genuinely one IF its parts (its material elements) are not existing in themselves anymore within the substance, and so are not parts anymore but determinations of that substance. But what IS a Totality? I treated succinctly of Totalities in the Essay on Totalities in a thematical way. Now we will go into it in more detail. Moreover we will consult classical positions concerning this issue. A Totality is an addition (a summation) of elements of a multiplicity (= something that is many) into an integral unity, implying the disappearance of that multiplicity, and the appearance of a singular unity. Such a unity distinguishes itself from an aggregate (which is still a multiplicity). An aggregate is a multiplicity of many (or at least more than one) individual Substances (in the metaphysical sense), which are held together by an external cause, like for instance a gas. A gas is an aggregate of molecules, each molecule representing an individual substance. Each molecule is a being. Another example of an aggregate is a Granite, which is an aggregate of irregularly glued together crystal individuals. In this case the aggregate originated from a molten mass, contained in a (large) underground cavity. The walls of this cavity acted as external cause for the relevant chemical substances to be held together. Later, after cooling and crystallization cohesion and adhesion forces took over. The individual crystals are held together by these forces, not resulting, however, in a (repeatable) definite pattern. A Totality is generated and sustained by virtue of a cooperative interaction of parts, in such a way that these parts are directed to a Whole (The Totality in question). The Totality is a pattern that originates through this cooperative interaction, as the result of a process that we can call the Self-organization of physical matter (if we restrict our expositions to material substances). Organisms are the result of such self-organization, and even inorganic matter has a strong inclination towards self-organization, as can be observed everywhere in Nature. In this way accordingly Totalities originate. But they all are transient and corruptible, and so temporary. Such a Totality can be interpreted as a Substance (in the metaphysical sense). We are familiar with such substances : atoms, molecules, crystals and organisms, but also stars, like our sun (in contrast with planets, that are aggregates). We know them as individuals. The identity-with-respect-to-content of such a Totality can be interpreted as the substantial form, while the (principle of) transiency of such a Totality can be interpreted as the matter-component (in its function of potency). All this however faces the problem whether this form is just a high-level effect, a totality-resultant, or a cause, as is asserted by classical Metaphysics. But, these views will reconcile with each other, because it is evident that in the case of genuine Totalities the Whole is presupposed in a certain sense by its parts, so the Whole is, in a sense, a cause, while it is an effect (a totality-resultant) in the sense that it is composed by its parts. To-be-a-Totality, caused by the form. Definition of an individual (the impossibility of such a definition) (NOTE 1). Degrees (gradations) of being-a-Totality (and consequently of being-a-Substance). In VII Met., lectio 16, nr. 1633 (heterogenous continua). In VII Met., lectio 17, nr. 1672--1680 (distinction between an aggregate and a unity : a true whole is not its elements, but the substance (in the sense of the whatness) of the thing, i.e. its first cause of being, its formal principle). "And it is evident that parts exist potentially, because none of them are separate, but all parts as parts are rather united in the whole. nr. 1633. For everything which is actual must be distinct from other things, because one thing is distinguished from another by its own actuality and form, as was stated above. But when those things which are assumed to be parts have been separated from each other when the whole is dissolved, they are then actual beings, not as parts but as matter existing under the privation of the form of the whole. This is evident, for example, of earth, fire and air, which, when they are parts of a compound, are not actually existing things but exist potentially in the compound. But when they are separated, they are then actually existing things and not parts. For none of the elements "before they are arranged," i.e., before they reach their proper state of mixture by way of alteration, and before one compound comes from them, together form a unity, except in the sense that a heap of stones is one in a qualified sense and not in an unqualified one. Or better "none of them," i.e., they do not constitute a unity before some one thing is produced from them by arrangement." nr. 1672. "Now since what. Here he shows what kind of cause and principle substance is when taken as the quiddity [i.e. the whatness ] of a thing. And in regard to this he does three things. First, he premises a certain distinction necessary for the proof of his thesis. Second, he raises a difficulty ("Therefore, if something"). Third, he solves it ("Now it would seem"). In regard to the first he distinguishes one kind of composition from several others. For sometimes composition involves many things in such a way that the whole is one thing composed of many, as a house is composed of its parts and a compound is composed of elements. But sometimes a composite results from many things in such a way that the whole composite is not one thing in an unqualified sense but only in a qualified one, as is claer of a heap or pile of stones when the parts are actual, not being continuous. Hence it is many in an unqualified sense, but is one only in a qualified sense, inasmuch as many things are grouped together in place." nr. 1673. "Now it is characteristic of the notion of this kind of diversity that the composite sometimes derives its species from some one thing, which is either the form (as in a compound) or combination (as in a house) or arrangement (as in a syllable or in a number). And then the whole composite must be one without qualification. But sometimes the composite derives its species from the very multitude of collected parts, as in a heap of things and a group of people and so forth. And in such cases the whole composite is not a unity in an unqualified sense but only with qualification." nr. 1674. "Hence the Philosopher says that, since one kind of composite is constituted of something in this way "as a whole" -- i.e., the whole is one -- and not in the way in which a heap of stones is one but as a syllable is one (without qualification), in all such cases the composite must not be identical with its components, as a syllable is not its letters. For this syllable ba is not the same as these two letters b and a, nor is flesh the same as fire and earth. He proves this as follows. "When these are dissociated," i.e., when the things of which the composite is made up are separated from each other, "this" -- the whole -- does not remain after its dissolution. For when the elements have been actually separated, flesh does not remain. And when its letters have been separated, the syllable does not remain. "But the elements," i.e., the letters, remain after the dissolution of the syllable, and fire and earth remain after the dissolution of flesh. Therefore the syllable is something over and above its elements, and it is not only its elements, which are vowels and consonants, but there is also something else by which a syllable is a syllable. And in a similar way flesh is not merely fire and earth, or the hot and the cold, by whose power the elements are mixed, but there is also something else by which flesh is flesh." nr. 1675. " Therefore, if something. He raises a problem relating to his principal thesis. For it was shown that there is something else in flesh and in a syllable besides their elements. For it seems that everything which is, is either an element or composed of elements. If, then, it is necessary that this additional something which is present in flesh and in a syllable over and above their elements should be either an element or composed of elements, this absurdity results." nr. 1676. "For if this is an element, the same argument will apply again both to this and to other elements, because it will have to be numbered with the others. For flesh will be composed both of this thing, which we said was something over and above the elements, and which we now claim to be an element, and of fire and earth. And since it has already been proved that in every composite which is one there must be something in addition to its elements, the same question will then apply to this something else, because, if it is an element, flesh will again be composed both of the other original element, and of the elements, and then of something else. Hence in this way there will be an infinite regress. But this is absurd." nr. 1677. "Therefore, if this something else when found is not an element but is composed of elements, it is evident that it is not composed of one element only but of many. Because if it were not composed of many but of only one, it would follow that that element would be the same as the whole. For what is composed of water only is truly water. Hence, if it is composed of many elements, the same argument will again apply to this thing as applies to flesh and a syllable, because it will contain something else besides the elements of which it is composed. And the same question will again apply to this. Thus once more there will be an infinite regress." nr. 1678. "Now it would seem. Then he solves the problem which he raised. And in regard to this he does two things. First, he solves it with reference to the way in which it first appears. Second, he corrects this solution and gives the true one ("And since some"). He accordingly says, first, that the thing which is present in composites over and above their elements would seem at first glance not to be something composed of elements, but to be an element and cause of the being of flesh and a syllable and similarly in other cases. Moreover, it would seem that it is the substance of each of them in the sense of their quiddity. For substance in the sense of quiddity is the first cause of being." nr. 1679. "And since certain things. He now corrects the above solution in two ways : first, insofar as he had said that this something else which is present in composite things over and above their elements is the substance of each. For this is true of things which are substances, but not of things which are not substances, since the form of a syllable is not a substance. Second, insofar as he had said that this very thing is an element and a cause of being. For it cannot be called an element but a principle, because elements pertain to the material cause of a thing." nr. 1680. "Therefore he says that, since some things are not substances, as is clear especially of artificial things, but just those are true substances that are "according to nature," with reference to being, "and are constituted such by nature," with reference to becoming, it will be made clear that this nature which we are investigating is substance "in some cases," i.e., in that of natural beings, and not in all. And it will also be made clear that this nature is not an element but a formal principle. For that is called an element into which something is divided and which is "intrinsic" as matter. For example, the elements of the syllable ba are b and a. Hence, since the principle in question is not a material principle but a formal one, it will not be an element. And thus it is evident at the same time both what kind of principle substance is, and that it is neither an element nor composed of elements. The foregoing problem is solved in this way." For an extensive treatment of essential and accidental unity, and the first meaning of ONE, see In V Met. lectio 7 and 8. Aristotle, Metaph. VIII, cap.6, 1045a36--b7 (See also SEIDL, H., Arist. Metaph. Band 2, p. 456--458), and St Thomas in loco (i.e. at the corresponding places in his Commentary) (nr. 1762/4). The Form is the cause of Being and Unity (of something), and its Being and Unity is not caused anymore. It causes the being and unity of a substance : the Form itself is immediately Being and One. This text of Aristotle is interpreted by St Thomas (In VIII Met, lectio 5, nr. 1762--1764) in such a way that it, so interpreted, relates to Separate Forms. But in ontological respect they behave just like substantial forms considered in themselves (i.e. thought apart from matter), and just like accidental forms considered in themselves. And according to SEIDL (Band 2, p. 457) the Aristotelian text refers to these forms-considered-in-themselves, and not to the Separate Forms. Because the form causes unity and being upon substance, every such a substance is a Totality. Because this form is itself a Totality it confers being-a-Totality to substance. This assertion stems from a position of classical Metaphysics that says that being the cause of something else's being-X is being-X in a stronger degree, in other words : the effect is in a higher degree present in the cause than it is in the effected. It would be interesing to investigate whether this is actually true. For do we nowadays not say that the cause of being-X is itself not a being-X? In nr. 1541 St Thomas says, occasioned by Aristotle's text, that despite the fact that it does not seem to be so (nr. 1538--1540), it nonetheless must be the case that the definition (See NOTE 2) always refers to ONE something, i.e. to a totality, an unum, because a proper (genuine) definition can only refer to a substance (not to a substance-accident composite). And because the "substance of a thing" is ONE whatness, the definition refers to an unum. The definition accordingly signifies one determined thing ( hoc aliquid ), but (I would say) one individual thing as-representing-the-species, thus not of Socrates (insofar as Socrates), but of Socrates-for-example. In a genus, its further determination is already, in its generality -- in its yet undeterminateness -- presupposed, thus the genus implies whatever relevant difference as its further determination. Genus + difference thus form an unum, and this they are supposed to do, because the definition ( = genus + difference ) must signify an unum. St Thomas says this in (among other places) nr. 1547 : The concept of BODY (i.e. signifying a material solid) is a genus, if it is taken as signifying a substance, which is completed by a final form (and this taken generally), and which has of itself three dimensions (If this form is thought of as a special form, not taken generally, then we have one of the species of that genus). So also WHITE is implied by COLORED (thing). In contrast to this, WHITE is not implied by HUMAN BEING. 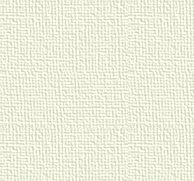 WHITE just could coincide with HUMAN BEING (i.e. a certain human being could happen to be white, instead of black). HUMAN BEING, insofar as COLORED THING, of course does imply WHITE, but not however HUMAN BEING insofar as HUMAN BEING. A WHITE HUMAN BEING is accordingly just an unum per accidens, i.e. an accidental unity (See for this also : nr. 1549 and 1550, In VII Met., lectio 12). In nr. 1563 St Thomas says that a certain ordering exists among the many differences, that we must assess when we descend from the general (for instance VERTEBRATE) to the special (for instance DOG). But this we should -- still according to St Thomas -- not interpret as an ordering present in the substance of the thing in question ( as representing the species). We cannot say that this part or aspect of the substance (in the metaphysical sense) is prior (i.e. more fundamental), and another part or aspect posterior (i.e. less fundamental), because (the) substance is a simultaneous totality ( tota simul ), and not a successive totality (like motion and time) (St Thomas, In VII Met. lectio 12, nr. 1563). The whole definition is implied in and by the last (final) difference (St Thomas, nr. 1561) and as such it is one. "From which it is clear that the many parts of the definition do not mean many parts of the essence from which the essence would be constituted as from divers items. But all [ parts of the definition ] signify that one item that is determined by the final difference. Also is clear from this that there is only one substantial form of each species, just as the lion having only one form by virtue of which it is a substance, a body, a living body, an animal [ i.e. a sensitive living body ], and a lion. If, after all, there were more forms, they would, according to all what has been said before, all of them, not be understood by one difference [but by several differences], nor would that one thing be constituted from them." So according to St Thomas the definition (of a species) first of all and directly refers to the substance of each individual-thing-representing-the-species, which here means to the Essence of such a thing. So it does refer to one item only (present in each relevant individual thing) : It neither does refer to a set of different (regarding content) Essences, nor to accidental composites (insofar as accidental composites) such as something-being-accidentally-determined (= a substance-accident composite). In all this it is presupposed that every Substance possesses only one substantial form. The totality to which the definition refers is the totality of essential determinations of a thing, together making up the Essence of the thing. These determinations reside in the thing (that represents the species), but not as discrete (and concrete) parts (corresponding to (would-be) parts of the definition), but as a 'tota simul' . As such this is a metaphysical approach. The thing is seen as a unity (that can be supplemented by occurrent entities, but then forming an accidental whole). To express this unity (metaphysically) we don't use the term 'parts', but (essential) 'determinations'. If, on the other hand, we approach all this physically, then we use the term (essential) 'parts', i.e. this tota simul is represented by concrete parts in the thing, together forming a stable definite and repeatable material (i.e. physical) pattern (repeatable over the individuals of the relevant species). This stable and repeatable material pattern of parts constitutes what we will call a Totality, which is � when we express ourselves physically as well as metaphysically � a Totality of parts and determinations. And it is such a Totality that is demanded by the Thomistic metaphysics for something to be a Substance. In Chapter 6 an argument is given against the assumption of more than one substantial form in one and the same substance, i.e. in one being. Those who grant a multiplicity of such forms, state that in that case there must be an ordering among them. "But further they went astray, because it is impossible to assume a multitude of substantial forms, fitting in among each other, in matter, because matter is in potency to the forms which are educted from it. So if there were several substantial forms, fitting in among each other, present in matter [ i.e. received by (that) matter ], then the more complete form would be educted either from the bare potency of the matter, or from the potency of the complete composite [ consisting ] of matter and that incomplete form. But it is not educted from the potency of the complete composite [ consisting ] of matter and that form, because, as has been said, the final term of the physical act, namely the generation, touches upon the bare essence of the matter. So when the form, which is the final term of the action, only belongs to that subject which is touched upon in the generation as this is in itself, it is impossible that this complete form is being educted from the potency of such a composite [ consisting ] of matter and the incomplete form. Hence it follows that the assumption of many forms, fitting in among each other, destroys the generation as this is in itself, and thus it is by implication necessary to assume that all forms, except one, namely the first, are accidents. But when a posterior form is educted from the bare potency of matter, then the whole substantial form only informs that potency from which it is educted. Thus the form, called the posterior form, will not be the perfection of such a composite, but only of the bare matter, and in this way there will accordingly be no order of substantial forms residing together in the same matter, and this is also stated in the seventh book of the Metaphysics." The text, immediately following upon this fragment, expounds that dimensions are accidental determinations which follow upon matter-as-in-its-ordering-towards-the-form, that is to say that form which must be assigned first to matter, i.e. the first form that is received by matter. That is the form CORPORALITY. This form then is further formed-over resulting in those items (resulting, not in time, but in constitution) which are further determinations of CORPORALITY, for example living body, sensitive living body, etc. The dimensions of the quantity follow upon this CORPORALITY (i.e. are added to CORPORALITY), resulting in the division of matter (i.e. general matter, first matter, matter as such), by virtue of which matter obtains diverse situations (spatial orientations), and in this way it can receive several substantial forms (not from without), by which the diverse things are constituted, and that means diverse Totalities, which each for themselves possesses one substantial form. An individual thing cannot be defined, also not (and that is nr. 1626's point) by a unique collection of properties or forms, because it is intrinsic to forms (accidental as well as substantial forms) that they can exist in many things. A determined collection of such forms thus could be found in one thing only, i.e. it admits of being so found, but this is as such not compelling. That collection could also be found in several individual cases, and thus it cannot -- because it does not have a compelling character -- serve as a definition of that thing. The collection is accidental. If there is only one essential form (substantial form) for each substance the collection can only refer to accidental forms, especially genuine properties. Such a collection of properties can also turn out to be unique for a species, and it is ultimately the species that has to be defined (like : HUMAN BEING ( = species) IS RATIONAL ANIMAL), not an individual thing. But also in this case the uniqueness of the collection of accidental forms (collection of properties) seen from the nature of forms, is accidental, and can, it is true, be useful as a diagnostic feature, but not for a genuine definition, because such a definition indicates what the individuals, representing the species to be defined, in themselves and necessarily are. The definition must refer to the genotypical domain, not to the phenotypical domain. We still have to investigate in more detail what type of Totality is being demanded by St Thomas' assumption that every substance possesses only one substantial form. First of all let us define a term that will be used in our expositions. With the term MIXTUM (plural : mixta), we mean something that is composed of other concrete things, its ELEMENTS. Such a mixtum can be just an aggregate. In this case we shall call it an IMPERFECT mixtum. The elements of such a mixtum do not form some constant pattern, i.e. such a mixtum depends for its generation to take place on external non-specific factors. It also depends on its elements of course, but only in a non-specific way. This implies that such a mixtum could only be exactly repeated by a coincidence of external conditions. In the English language we call such imperfect mixta : mixtures. 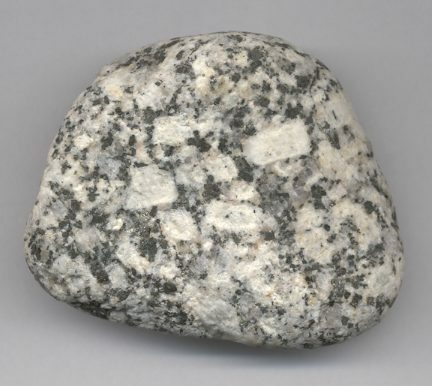 An Example is : A granite, which is a mixture of three kinds of crystals, Quartz, Feldspar and Biotite (See figure : A Granite from Sinai, Egypt). These crystals do not demand that they should be present in the rock in a certain fixed proportion. When the proportion happens to fall into a certain range, then we call it a granite. A second example is : a mixture of Sulphur powder and Iron powder, created by just putting these ingredients together at normal temperatures. But a mixtum can also be of a second type, a PERFECT mixtum. In such a mixtum the elements form a constant pattern. The cause of the generation of this pattern is not external, but resides witin the elements themselves. The pattern depends on the elements in a non-random, and thus specific way. This pattern is therefore repeatable, its repetition does not depend on the coincidence of external factors. An example is : A crystal. The elements of a crystal form a definite pattern, a pattern that depends on the nature of the elements themselves, implying that it can be repeated, leading to the generation of several crystals. The dependence of crystals on their elements is a specific one, implying many different kinds of crystal. But each kind can be repeated. A second example is an organism. Also in this case we have to do with a pattern, that depends in a specific way on the constituents of the organism. A third example are the chemical compounds, not necessarily manifested by a crystal, like Iron sulphide : When we heat the aforementioned mixture of Sulphur powder and Iron powder, we will obtain the chemical compound Iron sulphide, in which the Sulphur atoms are chemically bonded with Iron atoms, resulting in the fact that this PERFECT MIXTUM has properties quite different from those of the corresponding IMPERFECT MIXTUM. If a PERFECT mixtum manifests itself by (i.e. in the form of) an individual, for instance an individual crystal, an individual molecule, or an individual organism, then we have to do with a TOTALITY. So although Water is a genuine chemical compound, and thus a PERFECT MIXTUM, it is not a Totality. Only each Water molecule, considered in itself is a Totality. At lower temperatures a single individual ice crystal is a Totality. See for a thematical introduction to the metaphysics of mixta the Essay The Mixtum and its Elements from the First Series of Essays. It is clear that St Thomas' assumption of there being only one substantial form in one and the same (individual) substance first of all demands a perfect mixtum. But this still isn't enough. The perfect mixtum must be a Totality. Now if there are several types of Totalities, what type is demanded by St Thomas' assumption? It is, as far as I can see, evident that such demanded Totalities must be continua, including heterogenous continua. A continuum is contrasted with a contiguum or discretum. A continuum, even if it is heterogenous, is a unity, a whole, without actual parts. The parts are only potentially present, or, as one wishes to express oneself, the parts are only virtually there. What kind of heterogeneity does this mean in this context? Is this a heterogeneity in the accidental order or one in the substantial order? In the potential order or actual order? A Catenane is a kind of molecule consisting of two or more rings which are connected with each other in the way of chain links. If then for example in a 2-Catenane (consisting of two rings) one ring is big compared with the other, then the smaller ring orbits the bigger one at room temperature, while this movement stops when the Catenane-molecule finds itself in cooled circumstances (BALL, Ph., 1996, Designing the Molecular World, p. 177). The heterogeneity (of such a continuum, thus of such a substance) does not consist in a distribution of parts in that continuum (because then it is not a continuum), but in a distribution of properties (i.e. determinations) of the relevant substance. This implies that the parts, as parts, only have a virtual existence in such a substance. This being-virtual means : to be in direct (in contrast with remote) potency to the parts (When this potency is actualized, then the parts exist actually and freely). Their actualization takes place when the substance disintegrates. If the parts would actually exist in the mixtum ( = the substance in question), the substance then would possess several (i.e. more than one) substantial forms. The forms that do nevertheless exist over and above the substantial form then always are -- according to HOENEN -- accidental forms (properties, determinations) of the mixtum. Remark : We can, however, interpret this state of affairs also differently : In a physical approach we encounter parts, while in a metaphysical approach we interpret these parts as just determinations of some whole. This dual approach recalls the controversy between the atomistic mechanicistic (Democritic) and the non-mechanicistic (Aristotelian) theories of Being. The results of classical science (this is the natural science from Galileo onwards until the advent of Quantum Mechanics) regarding the properties of such mixta, and especially the properties (of elements) which are (still) conserved in the mixtum, can be explained under the assumption of the actual existence of the elements in the mixtum, AS WELL AS under the assumption of the virtual existence of those elements in the mixtum. So classical science does not decide about the mode of existence of the elements in the inorganic mixtum. But, non-classical science -- Quantum Mechanics -- shows, according to HOENEN, that an atom is a genuine Totality, not consisting of actual parts, but of virtual parts. And this finding could be extrapolated to molecules and crystals (because also in them quantum mechanical relations play an important role). Consequently at least one of the mentioned aspects (these aspects were : to be ontologically independent, possessing a whatness of its own, to be an individual, to be ONE) of being-a-substance would be gradual in its nature, namely the to-be-ONE aspect, implying that to-be-a-substance generally is gradual (also in the sense of : being-a-unity-only-in-a-certain-degree) because that is the case with some Wholes (NOTE 4). Perhaps we must consider (i.e. philosphically comtemplate) a thing insofar as it is a substance, or insofar as it is an aggreagate (of substances). A genuine aggregate is, it is true, ontologically independent but has as such no properties (determinations): There are only the determinations of the substances that make up the aggregate. A not-necessarily-pure aggregate does have determinations, but only insofar as it is a substance (Totality, unity). Perhaps this feature of Unity, namely its possibility of sometimes being just a unity in-a-lower-degree, points to an analogous nature of being-a-Totality (i.e. being-a-Totality is -- perhaps -- analogous), referring to a genuine continuum as primary instance. For some character to be analogous means that many of its bearers display a weakened version of that character, which, in its strongest sense, is present in something else, that bears the primary instance of that character. We can legitimately argue for the analogous nature of being-a-Totality because the real continuum is immediately fundamentally different from any contiguum, no matter how unified that is, and thus can we interpret the continuum as a genuine primary instance (The primary instance of Unity). But when a thing is a weakened Totality, thus not a continuum, then the elements (the parts) are present in it actually and consequently such a Totality has several substantial forms. Perhaps a Theory of Levels could resolve this difficulty (See the Essay on Structural Levels in the Critical Series). A Totality is an unum and an ens ( where "an unum" means : a unity, and "an ens" means : a being ). St Thomas considers this (among other places) in In VII Met. lectio 16, nr. 1637--1641. And -- with St Thomas -- we know that unity and being are convertible. They are two sides of the same coin : every genuine being is a (really existing) unity, and every (really existing) unity is a genuine being. But we now also know that to-be-a-unity comes in several grades, and this would imply that being also comes in several grades (already within the substantal order, but there only so in the phenotypical domain of the thing (discussed in the Non-Classical Series of Essays)).